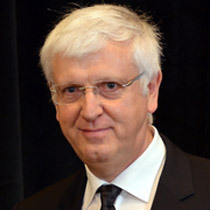 Didier Leys is Professor of Neurology at the university of Lille. He is past president of the European Stroke Organisation, of the French Stroke Society, and of the French Society of Neurology. He is currently General Secretary of the European Academy of Neurology. He has authored 576 publications (13,337 citations, H index =58; M index = 1.66), and book chapters. His main topics of interest are acute stroke, pre- and post-stroke dementia, and factors predisposing to cervical artery dissections. He is reviewer for many journals with high impact factors such as Lancet, Lancet Neurology etc, has been member of the editorial board of Stroke and is currently vice-editor of the European Stroke Journal.